Transport in France is generally of a good standard, especially in terms of maintenance and modernity. Getting around will generally be easy, with a very extensive public transport network. In more rural areas, however, like in the UK, you will need to rely on your car. A big plus of transport in France is the excellent road network. It was built with the motorist in mind, so offers sweeping views of the countryside. Moreover, the traffic that you may be used to in the UK is uncommon. France is roughly twice the size of Great Britain, but has around the same population. If you want to drive in France, it’s really important to acquaint yourself with the basic driving principles of the country, the road network and administrative requirements relating to driving licences. 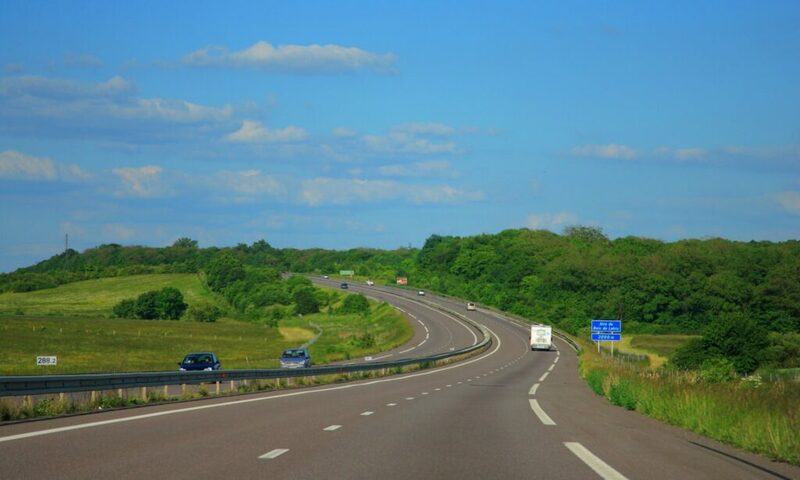 When driving in France there are a number of aspects you will need to acquaint yourself with before you get out on the road. The most important driving rule in France is that you drive on the right. By association, the main driving law for you to be aware of is priorité à droite, which means those driving on the right have right of way. If you bring your right-hand drive car to France, you must remember to adjust the direction of your headlamp beams. Likewise, if your car has UK registration, you must attach a sticker showing the country of origin. People normally adhere to these limits. The multitude of speed cameras around mean that laws are implemented rigorously. Furthermore, there is instant licence confiscation for anyone caught travelling more than 25km/h (16mph) over the speed limit. The most important thing to remember is that on France you drive on the right. All drivers and passengers must wear seatbelts wherever they are sitting in the car, and you can’t use a mobile while driving. As in the UK, it’s advised not to drink alcohol at all if you are driving. The drink drive limit is lower than in the UK (0.5mg/ml). Radar is increasingly common on motorways and other major roads; you will receive a fine for driving over the limit. It starts at €68 for driving by less than 20km/h (12mph) more, and rising up to €1,500 for speeding by more than 50km/h (31mph) and an automatic licence suspension of three years. The most common roads in France are motorways (known as Autoroutes and indicated using ‘A’ and a number), trunk roads (known as routes nationales, ‘N’ and a number) and route départmentales (‘D’ followed by a number). Most motorways in France are toll roads, and these will be indicated with the word Péage. Tolls are either charged at a flat rate, or based on the distance you travel on them. Distance toll calculations come through a ticket system: you receive a ticket as you enter the road, and pass it back to the attendant as you leave the road. These tolls can be expensive, but are generally the only way to cover large distances in a single day. If you are staying in France for fewer than 90 days and carry a valid EU driving licence, you do not need anything further to drive in France. If you are moving to France permanently, we recommend exchanging your UK licence for an international driving licence. You do not have to take a test to do this. This will not replace an original licence. Instead, it acts as an official certificate of validity of the licence as an internationally recognised document. If you are moving to France permanently, we recommend exchanging your original licence for an international driving licence. This process takes place at the prefecture. If you commit any driving offences, such as speeding or drink/driving, you will need to change your licence to a French one. This is so you can affiliate to the system of transport in France. There is currently nothing reciprocal between the countries. If you were to have, say, several speeding convictions in France, you would not receive any points on your English licence. However, you will of course still have to pay a fine in France! The system in France is the other way around, with everyone starting off with 12 points. In other words, an infraction means points are taken away, not added, so that when you have none, you will receive a ban. 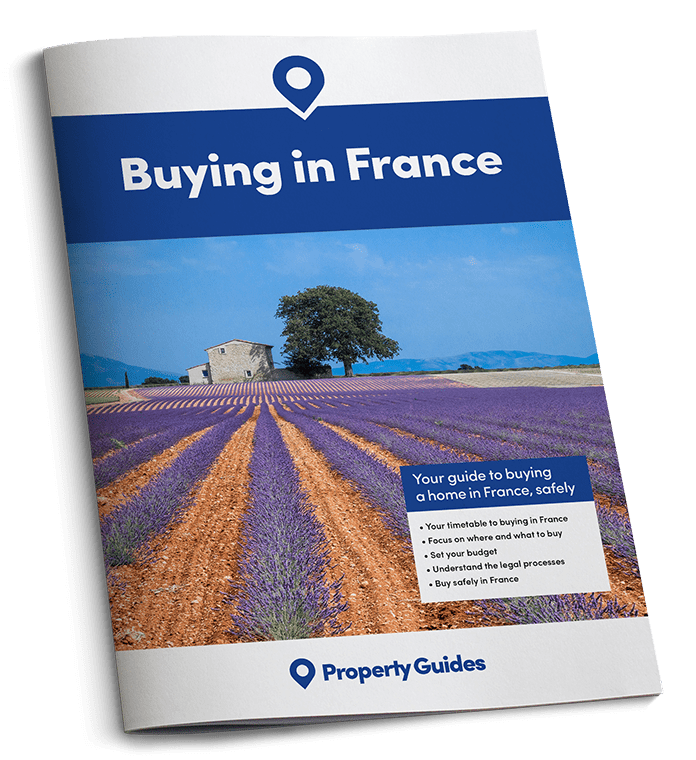 It can be sensible to bring your own car over from the UK to France, particularly as the market for second hand cars is notoriously expensive in France (although the market for new cars is very similar to that in the UK). If you have a UK-registered car, you are able to drive within the EU without a green card. Your national car insurer should be able to provide you with a ‘European accident statement form’, which can be used if you are involved in an accident. You will usually have to obtain extra insurance cover for driving abroad. If you are moving permanently, or for at least longer than six months, you will need to register your car in France with a French registration number. You can then, of course, fill out an export form and reclaim any tax remaining on your car from the DVLA in the UK. To do this, you will first need a Certificate of Conformity, which basically means that the car complies with French standards. On older cars, you obtain it from the manufacturer, but in some cases you will receive this from your local DREAL office. Here you will need to fill out a demande d’identification. The cost of this certificate is roughly €100, although prices vary according to the type of car and where you are in France. Registering your personal transport in France is an essential part of moving to the country. You will also need to have a certificate of roadworthiness, which involves having a contrôle technique at the local garage. This is similar to the MOT and costs approximately €80 – again with variation depending on your car and location. Once you have this, you will need to take this, proof of your identity, residence and car insurance to your local prefecture to receive your French vehicle registration. They will process this, and you will obtain your certificat d’immatriculation or carte grise. This costs around €200 to €300. Normally you will get your new number plate, and a temporary note for a month. Your carte grise will arrive in the post approximately a month afterwards. You will find that most garages are able to affix your new number plate in just a few minutes, once you have given them your proof and notice of the new number. They will prepare your plate and charge an extra €10 or so for fitting (the cost of the plate is around €20). The total cost of re-registering your car in France may be as much as €500 to €600. However, once it is done, it is done. Public transport in France is, by and large, very good. Train and air transport in particular are tremendous, linking the entire country, the rest of Europe and, indeed, the world. France has a very strong transport system, not only linking the entire country – but also the rest of Europe. The French train system is, for the most part, under the Société nationale des chemins de fer Français (SNCF – the French National Railway Company) and is highly efficient. The TGV, or Trains à Grande Vitesse, are France’s famous high-speed trains. They make transport in France particularly easy, serving over 230 destinations. 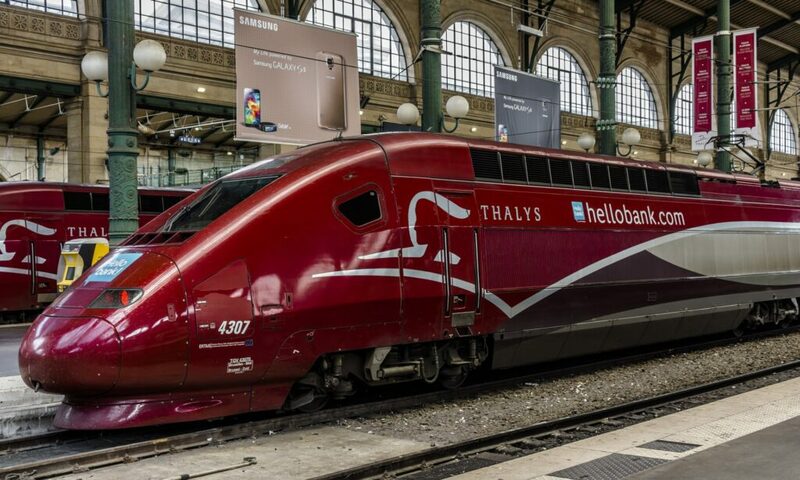 Another operator is Thalys, which runs international high-speed trains from the east of France through to Belgium, the Netherlands, Germany and more. Finally, there is of course also the Eurostar, connecting the UK and France. It runs from London St Pancras to Paris (and Brussels). Depending on the season, the route can extend further, including down to Narbonne or Montpellier. Prices do of course vary – but there are multiple offers and concessions in place. Thalys is an important part of transport in France, providing international trains to central Europe. There will usually be a train station in every major town. You will be able to access a wealth of information online (and in English!) to help you learn the best ways to navigate them. The best ones to look at are SNCF and Voyages-SNCF. An important tip is to always validate (composter) your ticket before you get on a train. Expats sometimes forget this, and it can lead to a fine. Paris’ metro is world-famous, but it’s not the only one in France. Lille, Lyon, Marseilles, Rennes and Toulouse all also have comprehensive systems, with generally low prices. If you’re a regular traveller, a carnet of several tickets or an abonnement (pass) can be a cheaper option. Bus transport in France is highly variable depending on the location. Most charge a set rate for a single journey – you often won’t find return tickets. As above, you will generally need to validate your ticket, in this case in the machine on board. 25 cities still have the tram system, known as tramway in French. Montpellier, for example, has an overground tram network with each one coloured according to the route, and you can buy tickets easily at the tram stops. Strasbourg has a very modern system. You’ll also find them in other urban centres, including Toulouse, Lyon, Bordeaux and Orleans and many more towns. What may surprise you is the sheer number of airports there are in France: 170 in total across the country. This is the highest density in Europe. There are 358,000 inhabitants in France per airport – compared to the 1.2million inhabitants per airport in the UK. In most major expat locations, you will find there are at least five airports. Normandy, for example, has Caen, Deauville, Rouen, Le Havre and Cherbourg, while Languedoc-Roussillon has Carcassonne, Beziers, Montpellier, Perpignan and Toulouse. With new routes between the UK and France opening up all the time, you really are spoilt for choice when it comes to flying anywhere in the country. France has the highest density of airports in Europe, with 358,000 inhabitants per airport. France has a large number of natural and man-made waterways – meaning canal travel in France is hugely popular for a holiday. A lot of the rivers are navigable, meaning many areas have boat trips for tourists. One of the benefits of travel in France is the ease of going abroad. You can often travel easily to Spain, Belgium, Luxembourg, Germany, Switzerland and Italy by train and by car. You will often find that as the borders are used so often, it is relatively easily to move through them.